Today you’re going to discover one of the best software development companies across the world as I recently researched 50,0000 Google search results to write this one. Some of them have good number of years in IT industry with great success story in this highly competitive market. And some are still new but portraying the successful results. And today I’m going to share what I found with you. They are experts at this industry and can help you find the most appropriate team to gain your company goals. Itransition is a US company. Delivering software projects worldwide to customers from startups & SMBs to Fortune 500 companies. Balanced blend of technology skills and domain knowledge of 1,300 seasoned IT professionals, powered by passion for IT. Anadea is a custom software development company with 15+ years experience in building web and mobile applications for business. It practices agile approach and specializes in Ruby on Rails, Java and Scala programming languages. Established in 1999, Iflexion is a global IT solutions company with 400+ employees. Iflexion serves clients from SMBs to Fortune 500 companies in more than 30 countries worldwide. Iflexion has solid experience delivering advanced web & mobile solutions in different areas like web & enterprise portals, enterprise content, omnichannel ecommerce, digital learning, enterprise mobility, business process automation, digital content distribution. Established in 2009, CSSChopper is a recognized web development company that has successfully served in over 90+countries so far. Backed by a team of 228 odd developers, the company proudly boasts a huge clientele that includes major brands and companies. Soft International Ltd is China’s large-scale comprehensive software and information technology services, including consulting, technology, outsourcing, training, covering the full spectrum of customer demand for IT services “end to end” software and information services. Founded in 2000 and headquartered in Beijing, it has over 10,000 employees. Soft International Ltd sets up a sales and R & D centers in the United States, Britain, Japan and other regions, forming a preeminent global submitted ability. GreenPoint Global is one of the most reputed and reliable firms when it comes to IT outsourcing, professional IT services and support. This company is an ISO certified firm which has immense expertise and experience of integrating technology for the well-being of your business. The company has its own dedicated team of experts who analyze your business and IT needs and thus provide for solutions accordingly. ValueCoders is a leading Offshore IT outsourcing company in India offering Software & Web development services, reduce your cost up to 50% by outsourcing to them. A leading web designing and outsourcing software development company in Kochi, and Singapore.We provide various services like logo designing, web development, digital marketing, SEO services, game design and 3D design.With such a positive attitude and peak efficiency of our team for solving problems, remain the trusted by a business partner of the customers in India and Singapore. Outsourcing Web has over ten years of experience working with national and international companies. They know what is required to make an outsourced project succeed. They take full advantage of our country’s low prices and high quality labor. Their office is located in La Paz, Bolivia. If you have any questions, they are only a phone call or e-mail away. QArea is one of Eastern Europe’s leading software outsourcing providers. They support customers with a wide range of cutting-edge technological solutions and are proud of the vast experience, skills, and certifications their software developers and testers possess. DeSmart is a software house founded in 2003. They create dedicated software for web and mobile devices targeted to the both local and international market. 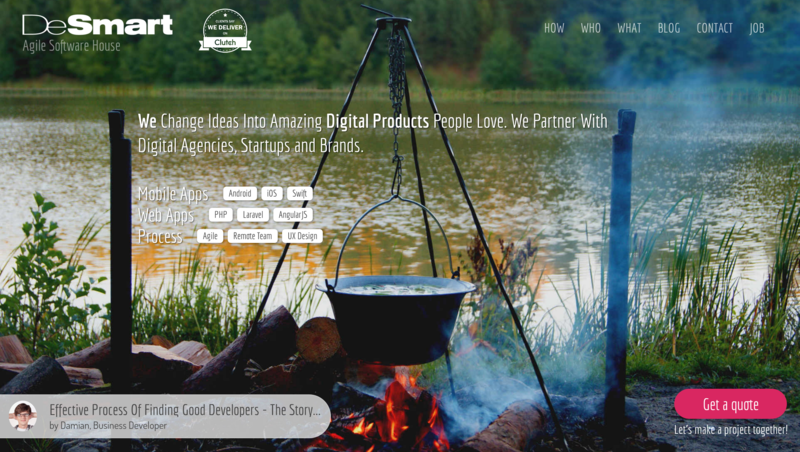 They are specialized in web and mobile apps and RWD websites. TatvaSoft is a CMMi Level 3 and Microsoft Gold Certified Software Development company that focuses on highly qualitative, timely delivered and cost-effective software development. Their rich and varied experience of 14+ years and stringent quality standards ensure them to develop software solutions that give your business an edge over competitors. Their global software outsourcing model ensure we deliver maximum targeted result to YOU. They serve clientele across the globe with Offices in US, Canada, UK, Australia and Development Center in India. Orbto Technologies Inc. is a Software outsourcing company located in one of China’s earliest and fast growing 4 Software Parks, Jinan Qilu Software Park (Qilu STP) with branch offices in Boston, MA, U.S.A and Hongkong. Orbto is now one of the leading IT service providers to American and European companies. With a passion for excellence, we deliver high quality of solutions with exceptional skills, talents and a proven approach. Orbto is a also a trusted Software outsourcing company with proven global capabilities, quality standards. Founded in 1989, ScienceSoft is a US-headquartered provider of custom software development and IT consulting services with 450+ IT professionals located internationally. For over 27 years we’ve been bringing custom and platform-based solutions to midsized and large companies in Healthcare, Telecom, Retail, Financial Services and other industries. The likes of Walmart, Nestle, eBay, T-Mobile, Baxter and IBM rely on our solutions in their daily operations. Orient Software was established in 2005 and is a leading international software outsourcing company in Vietnam. They provide exceptional software outsourcing services and solutions to companies worldwide. Whether you need a special skill set for a one-time project, or you want to enhance your in-house IT team on an ongoing basis, the talented technology professionals at Orient Software are fully prepared to meet your needs. FrogSlayer is a software product development company, helping companies build software products that drive revenue growth in 90 days or less. Since 2011, FrogSlayer has helped its clients generate over $250M in new revenue. FrogSlayer designs and builds innovative B2B commercial software products that help companies accelerate time-to-market while maximizing revenue and market share. They balance business-minded thinking across a variety of industries with engineering expertise in disruptive technologies, such as mobile, cloud, and big data, to develop products that meet real business needs. Synotive is one of Australia’s leading and advanced providers of technology and outsourcing services specialising in Application, Software Testing, Rich Internet technologies and Digital Marketing. Synotive’s innovative and leading edge solutions in Application Development, Cloud, Rich Internet technologies, Enterprise Mobility, Testing and Enterprise Workforce Optimisation, amalgamate best in class methodologies utilising its global delivery model “Promise”. Synotive brings together more than 15 years of rich industry experience with a global footprint spanning continents, extrapolating its flexible and entrepreneurial services to clients. They are passionate about client satisfaction, which underpins our delivery framework to provide the highest. Since 1993, Solentive has been helping our customers invent, build and deliver exceptional technology solutions. Their customers value their ability to turn chaos into results that open up new business opportunities and provide their own customers with a unique experience. As Solentive move into the world of Cloud First, Mobile First technologies the lines are blurring between software and services. Solentive is collaborating with its partners and helping its customers understand how to deliver technology solutions that blend the world of cloud services and software. Shinetech provides outsourcing service to organizations of all sizes and in numerous industries-including many Fortune 500 companies, No matter what challenges you face, our highly skilled developers can help with stand-alone projects or as an expansion of your in-house IT department. Ignite provides world-class custom software development services through agile methodologies by relying on the most talented pool of developers In Eastern Europe. If your company has already made the strategic decision to go offshore and is about to make a leap into the “outsourcing zone”, their unique business models pave the quickest and safest way to offshore success. Having conducted many diverse, successful projects, they offer their customers high end engineering services at offshoring rates, while keeping maximum control at the same time. With six innovative R&D centers active in Europe (among which 4 only in Ukraine), they provide the perfect gateway to great software development in Eastern Europe. Ignite is proud to have business leaders like Adobe, Microsoft, Nokia Siemens Networks, MTV or AT&T among their customers. offering Software Solutions to our global clients by leveraging process, domain and people management expertise. At econnoisseur, they have built their organization around managing risk for their clients through a scalable, cost-effective and predictable delivery platform. Software Development includes writing and maintaining the source code to build applications. Zaptech Solution is a leading company helping small and large enterprises get the best software products. There can be several purposes of developing software. Zaptech provides custom solutions to their clients globally. Zaptech Solutions is known for creating extraordinary software depending on clients’ unique requirements and business objectives. They are based in USA and have development center in India. Their development solutions transform the way you do business and help you gain an extra edge. Give them a shout if you are looking for development services. Software Tailor provides the best Offshore Software Development, software Development outsourcing and Offshore outsourcing services to startup companies and large organization globally. They have a dedicated team for their services. You can also outsource your in-house project to them. Headquartered in Hong Kong, they have development facilities in Shanghai, China. High quality custom software in any form – a web application, a portal, a mobile app or a desktop app – can add tremendous value to businesses and tech entrepreneurs. One of the most economical and cost-effective ways to achieve this, is to hire offshore software development services from a reputed offshore software outsourcing company. This is where GoodCore, an offshore software development company, comes through as the perfect solution. For them, software development is labor of love. Founded in 2000, WaveAccess is a software development company headquartered in Henderson, Nevada. Over the last years they’ve made a reputation for building complex solutions that work great, look great, deliver needed features and are nice-to-use. What they do is not only a job. WaveAccess doen’t just do projects and products. They inspire emotion, accomplish the impossible, make ideas reality, and keep customers happy. This is their everyday work, their heritage, desire and success. Ractors as a professional web & software development company is highly concerned with the quality of their solutions and services. They provide services for both small and big multi-national companies. Their services will create an online presence which is far above industry standards and expectation. Offshore Software Development Outsourcing Millettech firmly believes in “client Comfort ability” and offers warm and professional services to their clients from its offshore development centre. Moreover, projects are carried out based on clients’ preferences, requirements and comfortability. MILLTECH’s management team comprises of multi-lingual, experienced professionals with extensive experience in web-related areas and IT outsourcing. Millettech differentiates itself from other similar organizations on the basis of its philosophy on client comfortability, quality of deliverables, flexible business approach, proven methodologies and processes, they focus on cutting edge tools and technologies, and low-cost development. Universal Software is a global, standard-setting organization that provides world-class IT Services and products. Apart from providing on-site IT services, Universal serves its clients through it offerings in Big Data, Mobile Computing and Managed IT services. Universal has a team of talented IT consultants and software development teams that can guarantee results. They are an industry leader in transforming the world of business through outsourcing, off shoring and shared services. TMA Solutions was established in 1997 to provide quality software outsourcing services to leading companies worldwide. They are one of the largest software outsourcing companies in Vietnam with 1,800+ engineers. Their engineering team was selected from a large pool of Vietnam IT resources; they are well-trained and have successfully completed many large and complex projects. ITS Partner is a software development company. Headquartered in Eastern Europe, they work for the US, Europe, and Asia. ITS portfolio ranges from web and mobile applications to automation and telecom solutions. They’re living and working with style of simplicity and minimalism, but productivity and efficiency. ITS Partner’s way of life is a professional and cost-effective outsourcing. ITS Partner is very proud of having a long-run relationship with their global partnership network of customers. They have managed to build a strong and efficient team with outstanding expertise, excellent track record, and willingness to use any opportunity for growth. R Systems offers a wide array of IT and IT-enabled services that help organizations become more productive and efficient. They harness their robust quality framework, structured methodologies, multi-language support capability, and global delivery model to deliver high-quality services to the customers across the globe. Their services are designed to help organizations efficiently and effectively address their business needs and challenges across multiple domains. These services are built on our more than two decades of rich industry experience, technological competence, and operational excellence. Outsourcing software development company that provides professional IT services focused on building dedicated teams and custom software development. Their solid experience in Microsoft, LAMP, C++, Java, Mobile technologies and profound practical knowledge of Agile (SCRUM/KANBAN) methodologies are proven by their case studies. Cyrus Innovation provides custom software and shares improved processes with companies that believe quality people, practices, and code are foundations of business success – both yours and theirs. Stride is an Agile consultancy in NYC. They are like Agile SWAT teams. Whether you seek process refinement or need to get high quality code out the door to launch your MVP, Stride is your company. KelltonTech Solutions Ltd. is a public listed, CMMI Level 3, ISO 9001:2008 certified IT firm offering end to end solutions in Web, SMAC (Social, Mobile, Analytics, Cloud) and the list goes on. The company has been delivering IT solutions, strategic technology consulting, and outsourced product development services since past 22 years. D8ii limited specialises in offshore outsourcing for startups and SMEs. D8ii provides fin tech solutions on web and mobile platforms. They are also the leading offshore solution for NodeJS. KPS is a reliable team of highly skilled web & mobile experts ready to develop and support your projects: from smallest to the most complex ones. They have long-established relationships with their clients in the Netherlands, Australia, the USA and the UK. We combine the power of UI/UX designers with iOS & Android as well as Drupal and Magento development expertise to provide brilliant delivery experience. They follow modern trends in design and development to make your app or website stand out. GlowTouch Technologies provides high-value technology services to mid-sized businesses in the US, Canada, Europe, and Asia. Their global team of 1,400 dedicated employees pride themselves on enabling growth for every client. The company’s portfolio of technology services includes Web and Cloud Application Development, Mobility, Analytics, Support Services, and Business Process Outsourcing. AppIt Ventures is a custom software development company that partners with firms to build cutting edge, high quality technology. They utilize our proprietary ‘AppIt Rapid Development’ to deliver software faster than any other company in our field. AppIt Ventures are mobile experts with a portfolio of more than 280 software applications and offices in two countries. AppIt Ventures will partner with you on all aspects of your project and deliver world class solutions for your business. At Pulsion Technology partners with organisations to deliver innovative digital services and solutions. A trusted provider to both the public and private sector, Pulsion works with its clients to unlock efficiency in their businesses. All of their solutions are designed around your business objectives, whether that be driving efficiency, increasing revenue or reducing overhead costs. Pulsion has a variety of skills and capabilities within the digital arena, allowing them to support your business to achieve digital excellence. 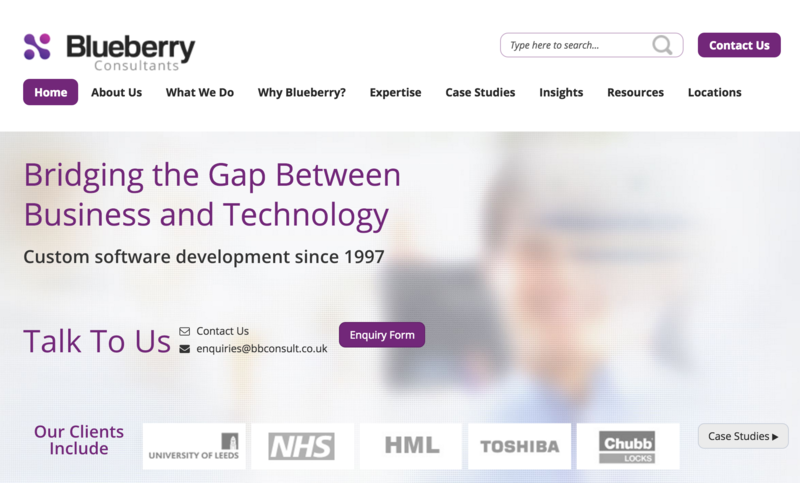 Blueberry specialises in custom software development, creating software systems that make organisations more efficient and profitable. Whether you’ve got an idea for a completely new business or you want a system to manage your whole company they can help you. Godel are a leading agile software development expert, which combines its unique agile delivery approach with some of the most exceptional software development and quality assurance talent in Europe. Helping organisations deliver successful software development projects, on time and on budget. Founded in the UK with headquarters in Manchester, UK, Godel has two software development centres of excellence situated in Minsk and Brest, Belarus. DataArt is a technology consulting firm that creates end-to-end solutions, from concept and strategy, to design, implementation and support, helping clients achieve their business goals. To every project, they bring a combination of industry knowledge, unique company culture and some of the best technical talent in the world. 3Pillar Global builds innovative, revenue-generating software products, enabling businesses to quickly turn ideas into value. The company’s service offerings – Innovate, Accelerate and Elevate — address the entire software product development lifecycle, delivering clients a tangible result at every phase. Reign Design is a multicultural software design agency. They specialize in the design and development of mobile applications for Android and iOS phones and tablets. They help every kind of business from startups right up to their brand-name clients like Porsche, WeightWathcers and Standard Chartered. Apptunix started its journey as a small mobile app development company. Initially exploiting the art of impressive iOS app development, it soon spread its wings and started offering Android and Hybrid App development services. Now fully established as an expert mobile app development firm, Apptunix is catering to the mobile needs of businesses around the world. We offer top-notch services to build healthy and lasting client-relations. SummationIT is an Indian based Offshore Software Development service provider with profound technical expertise on Offshore Web Development, offshore mobile app development and offshore ecommerce development. They work on a permutation and combination of Energy, Expertise, Efficiency, Commitment and Dedication to deliver faster and better results. Their domain knowledge expertise in Product and Service life cycle management, Business intelligence, Project driven culture, research and analysis, professional approach gives us an edge to develop and implement better solutions. Softlabs Group established in the year 2003 is a one-stop solution for your entire Information Technology. It has various diversified activities such as Software Development, Web Designing, Web Application Development, Mobile Application Development and Software Consulting. they have team of professionals which is serving for many of the reputed organizations both in public and private sector across India, Europe, Africa, Middle-East and Australia. QAHero was established to help customers by partnering with them and helping them deliver a high quality product to the market. QAHero’s customer-centric business model tailors the ultimate outsourcing service package(s) that takes into account the client’s goals, technology, domain, processes and budgetary requirements. Qualityze has more than 50 years of combined experience in life sciences and technology industry. 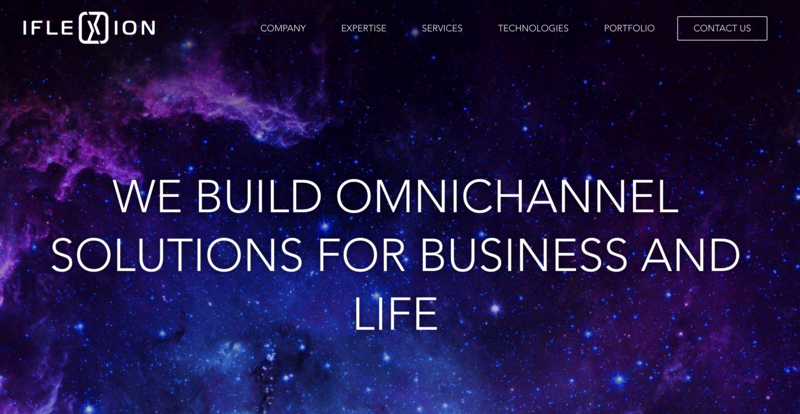 The Company is specialized in providing solutions and implementing enterprise quality management systems for small, medium and enterprise customers. Qualityze has partnered with Salesforce as a technology partner to provide EQMS on world’s most scalable, flexible, secure, enterprise cloud platform. Qualityze brings industry best practices experiences with proven project implementation methodologies. Anadea is a custom software development comapany with 15+ years experience in building web and mobile applications for business. It practices agile approach and specializes in Ruby on Rails, Java and Scala programming languages. Anadea Inc provides full-cycle development from initial concept to a live application. We have all IT specialists for hire – software engineers, designers, mobile developers, QA engineers and DevOps. IAOP is the association that brings together customers, providers, and advisors in a collaborative, knowledge-based environment that promotes professional and organizational development, recognition, certification and excellence to improve business service models and outcomes. Organizations have become increasingly technology driven and interdependent through an array of ever-changing collaborative business models. Most generally referred to as ‘outsourcing’, these approaches include multi-sourcing, global business services, offshoring, nearshoring, robotic process automation (RPA), cloud-sourcing and many other variants. IAOP’s unique characteristic—core competency—is its ability to bring together this diverse, highly collaborative and passionate group of individuals and organizations. SoftProdigy came into existence in 2006, guided by the idea of delivering high quality web designs, mobile development solutions, as well as innovative internet-driven marketing and sales strategies. The growth curve continued to rise steeply over the years for them, thanks to their penchant for exceeding the expectations of their clients. In their relatively young history, they have been a key to the never ending success stories of many internet businesses and successfully implemented projects. Quality and overall performance is their paramount concern. Softprodigy focus on creating effectively informative architecture, aesthetically appealing visual designs, engaging content and great interactivity. 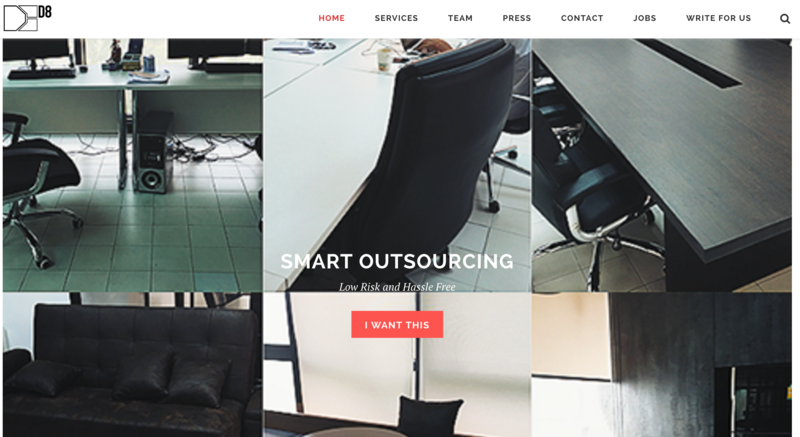 SmartDev is a Swiss Agile offshore development company founded in Danang, Vietnam. They keep on challenging ourselves to conquer new victory by delivering excellent services of Agile Offshore Development and Agile Project Management. In today’s fast changing-business environment, their high-performance team is passionate to continuously add values to theie client’s vision by placing accurate execution and cutting-edge technologies on the ground. Infosys Limited (formerly Infosys Technologies Limited) is an Indian multinational corporation that provides business consulting, information technology and outsourcing services. It has its headquarters in Bengaluru, India. Infosys has a global footprint with offices and development centres across the world. In 2012, Infosys announced a new office in Milwaukee, Wisconsin to service Harley-Davidson, being the 18th international office in the United States. It provides software development, maintenance and independent validation services to companies in banking, finance, insurance, manufacturing and other domains. One of its known products is Finacle which is a universal banking solution with various modules for retail & corporate banking. Glorium Technologies provides industry-leading IT experts to give you the ability to leverage the full potential of what you have now, to expand your reach and add new capabilities and even to provide an entire IT department. Partnering with Glorium lets you tap into a virtually unlimited IT development resource. They remove the limitations that can bind you and keep you from growing properly by enhancing your current systems, adding larger and more robust technologies and even taking the entire burden of IT off your shoulders and allowing you to focus on your company’s core competencies. People are at the heart of every successful business initiative. Every year TEKsystems deploy over 80,000 IT professionals at 6,000 client sites across North America, Europe and Asia. Their deep insights into IT human capital management enable them to help their clients achieve their business goals – while optimizing their IT workforce strategies. They provide IT staffing solutions, IT talent management expertise and IT services to help their clients plan, build and run their critical business initiatives. At the dawn of the new millennium, a unique information technology company was born HCL Technologies. HCL Technologies has demonstrated remarkable growth through the recent economic downturn, emerging as one of only eight 21st century listed technology companies in the world. The management’s role at HCL Technologies is to empower employees to believe in the power of ideas – a culture we call Ideapreneurship. Helping clients from all spheres of work through innovative technology solutions, Ideapreneurs are transforming global businesses – one relationship at a time. BGO Software is Microsoft Gold Partner, Progress Premier Partner, Business Partner of Hoffmann-La Roche and Official Government Supplier for the Health Research Authority of the Department of Health in the United Kingdom. Since its establishment in 2008, BGO has grown to become a trusted partner of various private enterprises, governmental organisations and educational institutions. GO Software employs and invests in the career development of an ever-growing calibre of experts and industry professionals, to build a team enabling the company to provide a full range of services. Tata Consultancy Services Limited (TCS) is an Indian multinational information technology (IT) service, consulting and business solutions company Headquartered in Mumbai, Maharashtra. It is a subsidiary of the Tata Group and operates in 46 countries. TCS is one of the largest Indian companies by market capitalization ($80 billion). TCS is now placed among the ‘Big 4’ most valuable IT services brands worldwide. TCS alone generates 70% dividends of its parent company, Tata Sons. In 2015, TCS is ranked 64th overall in the Forbes World’s Most Innovative Companies ranking, making it both the highest-ranked IT services company and the top Indian company. Acora delivers outsourced IT services to visionary mid-market business leaders who need strategic agility without the shackles of high risk IT. We provide the freedom to flex further, and adapt faster fully supported by an expertly managed, outcomes-focussed IT strategy. They deliver wholly flexible services across a broad range of applications, infrastructure and talent resourcing – so whatever you need, however you need it, we have the experience and expertise to ensure your business IT is a strategic asset, not a liability. DesignSkulls is a web design and development agency that specializes in providing full service digital marketing services for both small and big businesses. We understand the power that a fully functioning website has in positively developing your business and thereby have equipped ourselves with all the right set of tools to serve your website based needs. Their “Custom Design” services help you to add your personal touch to your website along with helping you to get in direct touch with your clients. As we say, once you avail their services, your business’s path towards growth is established. ISHIR is a global diversified outsourced IT services company which brings offshore outsourcing to clients’ doorstep. ISHIR has extensive experience in providing outsourcing non-core business processes – IT functions (software development, product development, SharePoint consulting and development, mobile app development, software testing, managed IT services, cloud computing solutions), Interactive (web design and development, game development), Internet Marketing (search engine optimization, paid search, display and social media marketing services), setting up Built Operate Transfer (BOT), specialized R&D facilities, and non-IT functions (data entry, research, customer support, finance). ISHIR is headquartered in Dallas, Texas, with global delivery centers in Noida India and over 200 professionals working worldwide. HBMobileLabs offers Enterprise mobile application development, Game development, Native and Cross platform mobile app development, Mobile App Testing and Mobile App Porting services across all major platforms including iOS, iPhone, iPad Android, BlackBerry and Windows Mobile. Today, the market is flooded by trendy mobile phones and smartphones. As such, it necessitates for hi-end mobility solutions and enterprise mobility applications development. HB Mobile Labs is an India based leading enterprise mobile applications development company providing hi-end customized mobile apps and games for its clients across the globe. Invensis Technologies is a leading IT-BPO service provider has been empowering clients around the world to achieve business transformation and growth through its services that boost process and operational efficiencies. They have been operating since 2000 with an office in Wilmington, DE, USA, and delivery centers in Bangalore, Hyderabad and Rajahmundry, India. 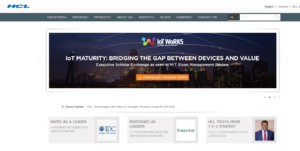 Invensis is a trusted partner for clients ranging from Fortune 500 companies including Philips, Trend West, 3E and GRM, to a host of other high profile small and medium sized organizations. 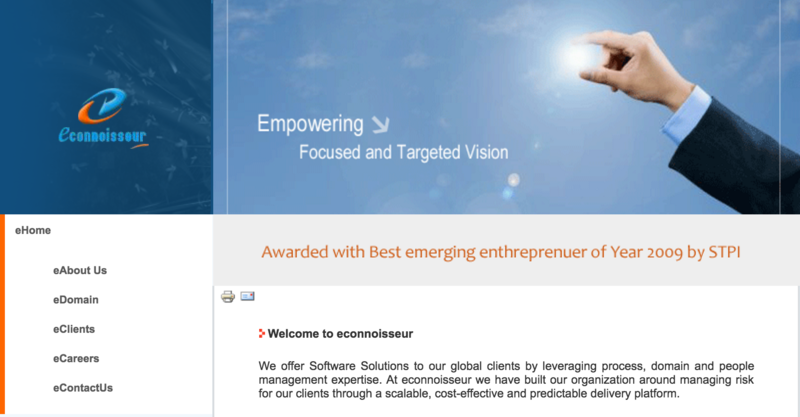 Established in 2008, Cogneesol is a leading global business process outsourcing and technology management company extending business value to more than 300 clients worldwide. They bring IT and consulting services expertise under one roof to help brands deliver memorable end-customer experiences. They are proficient in transforming and managing business processes and operations, which includes those that are intricate and industry-specific. Combining unrivaled experience and substantial capabilities in all industrial sectors, They assist their clients in becoming more competitive by making their businesses a lot more perceptive, flexible, innovative, efficient, and well-connected with their customers. Mobilunity is a successful IT company that provides a wide range of services in the sphere of web systems development, proficient web design and support. They are a client-oriented organization whose first and main goal is to meet the requirements of our customers and satisfy their needs. We are able to listen and understand what suits our clients’ business best and ready to help them in promotion of their enterprise. Adoriasoft is a custom software development company that delivers stellar results to clients worldwide since 2009. They are passionate technologists with brilliant software development expertise. This makes them the ideal team for your agile development project. Contact them to get instant estimation! All their clients, including private entrepreneurs, midsize businesses and large-scale enterprises benefit from Adoriasoft integrity, reliability, talent, agility and leadership. Adoriasoft are a professional, bespoke software development team that takes pride in the deliverables of our work on your project. Capgemini is a French multinational information technology consulting corporation headquartered in Paris, France. 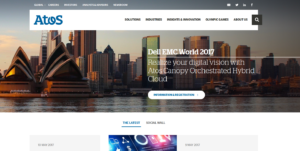 It provides IT services and is one of the world’s largest IT consulting, outsourcing and professional services companies with almost 190,000 employees in over 40 countries. It was founded in 1967 by Serge Kampf in Grenoble, France. Paul Hermelin, the chairman and CEO of the Capgemini group has led the company since his appointment in December 2001. Capgemini’s regional operations include North and South America, Northern Europe & Asia Pacific and Central & Southern Europe. Services are delivered through four disciplines; Consulting, Technology, Outsourcing and Local Professional Services. The latter is delivered through Sogeti, a wholly owned subsidiary. Atos is a European IT services corporation with its headquarters in Bezons, France and offices worldwide. It specialises in hi-tech transactional services, unified communications, cloud, big data and cybersecurity services. Atos operates worldwide under the brands Atos, Atos Consulting, Atos Healthcare, Atos Worldgrid, Bull, Canopy, Unify and Worldline.The company was formed in 1997 through a merger of two French IT companies; and combined with the Dutch-based company Origin B.V. in 2000 to become Atos Origin. It subsequently acquired KPMG Consulting in 2002 and SchlumbergerSema in 2004. In 2010 Atos Origin announced the buyout of Siemens IT Solutions and Services and finalized the acquisition in July 2011. Afterwards, the company name reverted to Atos. I hope I made it easy for you to find software development companies. I also keep open lines and touch with you to discuss if you would like to outsource your software development to D8ii limited team. Hey, we are glad you enjoyed the article! Make sure to check back in a few months when we update our list to see if an outsourcing company from Brussels is on there! Hope you have a wonderful day! Well, who knows there are some easy way to increase sales. Nice info! Wonderful list but I think you missed one of the best web design company in India, Dotz Web Technologies. So, kindly add Dotz. Thanks for sharing.